Want to contribute? See the guidelines below. Marlys Arnold has a unique perspective on trade show exhibiting with experiences as both an exhibitor and a show organizer. As an exhibit marketing strategist, she consults and educates exhibitors on how to create experiential exhibits that produce significantly higher numbers of qualified leads. She leads workshops for events ranging from local consumer expos to some of the largest trade shows in the U.S. She hosts the Trade Show Insights blog/podcast, and is the author of Build a Better Trade Show Image, the Exhibitor Education Manifesto, and the ExhibitorEd Success System. Exhibit Design That Works (the first book in the YES: Your Exhibit Success series) debuted in July 2017. Connect with her at www.tradeshowinsights.com or www.exhibitmarketerscafe.com. Michael Barnett is a social marketing entrepreneur and the CEO of InGo, a company driven by a new vision for event marketing: creating advocates by empowering attendees to engage their friends with events they love, with the goal of making events more fun and more social. He studied at Virginia Tech, with a brief break to intern in Parliament for MP Nigel Waterson. Mary E. Boone is an author, consultant and strategist in the field of communication – with an emphasis on the design of human interaction in face-to-face and virtual settings. Among those quoting from and praising her work are Tom Peters, The New York Times, The Wall Street Journal, The Financial Times, CNN and National Public Radio. She has written and co-authored award-winning work for a host of publications including Harvard Business Review. The white paper she wrote and donated to the MPI Foundation in 2009, “Four Elements of Strategic Value for Meetings and Events,” is still broadly referenced as a landmark assessment of how to take a strategic approach to meetings and events. 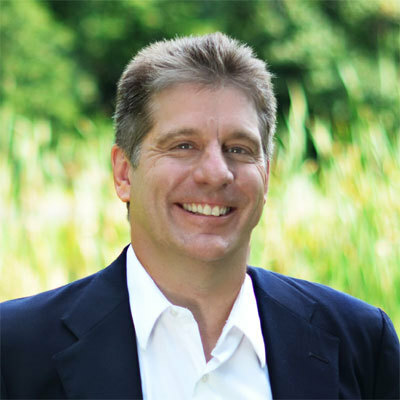 Chris Brogan is CEO of Owner Media Group , providing strategy and skills for the modern business. He is also a highly sought after professional speaker and the New York Times bestselling author of nine books and counting. His latest is called Find Your Writing Voice. David Brull has over 15 years of experience in sales and marketing for brands, associations, and agencies. He is Vice President, Global Accounts for kubik, a leader in the exhibit and event marketing industry. Michelle Bruno, MPC, tells stories at eventtechbrief.com, gives opinions at forkintheroadblog.com, and quietly smiles when blog posts, white papers, and articles she has written appear on her clients’ websites and in trade publications. Dax Callner is the Chief Strategy Officer at GES Events, leading a practice that specializes in physical, digital and social experience development, measurement & analytics. Denise Capello heads up the Business Development department for RAI Amsterdam. She is an experienced hospitality and event industry practitioner with a passion for people and our industry. She joined RAI Amsterdam in 2005 and has been engaged in a variety of commercial roles. Jannat Choudhury is Marketing Manager at the International Association of Exhibitions and Events (IAEE). She manages various marketing initiatives and works with all departments on marketing-related initiatives. Because of her unique name, she is known as Jannat the Astronaut around the office. Tony Compton, Managing Director of GettingPresence, has over 25 years of marketing, media, event, and communication experience. He has designed go-to-market strategies for software, professional services, and high tech companies. He also has a working background in broadcasting, streaming media, video and voiceover production, and creative writing. Andy Crestodina is co-founder and Strategic Director of Orbit Media, an award-winning web design company. Over the last 17 years, Andy has given web strategy and marketing advice to 1,000+ businesses. He speaks at conferences, writes for blogs, and hosts a podcast, Content Matters. He is also the author of Content Chemistry. Jim Curry, Owner of Exhibitor Smarts, heads a specialist agency working alongside exhibition organizers and suppliers to create strategies and initiatives to improve exhibitor acquisition, engagement, growth and retention. Jim is also blogs and comments frequently on the EMEA exhibition industry. Warwick Davies is principal of The Event Mechanic! His firm specializes in helping event owners diagnose, treat, expand and produce conferences and expositions, both domestically and internationally, through a mix of business development, strategic selling, program development, strategic marketing, partner acquisition, and staff training. Stephane Doutriaux, Group Commercial Director at Poken–A GES Company, is a serial entrepreneur who sold his latest event-platform company in early 2017. He is a passionate Canadian technology and social media executive who gives regular talks about the ways in which event tech is transforming the industry. Nancy Drapeau, PRC, a 24-year market research veteran, is CEIR’s Senior Research Director. She conducts industry-wide studies and reports on current trends in the exhibition industry. She holds a Bachelors from Georgetown University and a Masters from l’Institut Européen des Hautes Études Internationales. Jessica Finnerty, CEM, is Meetings and Events Manager at the Auto Care Association, where she helps produce several large annual events, most notably the Automotive Aftermarket Product Expo (AAPEX). She also serves as liaison to the Auto Care Association Events Committee. Caitlin Fox is vice president and account strategist for events at mdg, a 60-person agency with offices in Southern California, Washington, D.C and Reston, VA. The only thing she loves more than tapping into the marketing brilliance around her, is sharing what she’s learned. Francis J. Friedman is a branding and face-to-face business-building expert, and a recognized futurist in the event industry. He is President of Time & Place Strategies, a New York-based consulting firm. His book The Modern Digital Tradeshow prescribes the strategic and tactical transformations the industry must undertake to remain competitive. Michael Hart is a business consultant and writer who focuses on the events industry. As a journalist, Hart has covered the tradeshow and events business since 2002, first as editor-in-chief of Tradeshow Week and more recently as executive editor of Expo. He also has held editorial positions in the past at the Los Angeles Times and Los Angeles Business Journal. Michael Hatch is a results-driven sales and marketing consultant with over 30 years’ experience working with exhibit and event industry leaders, including AT&T, Salesforce and a2z Inc. He is also a veteran entrepreneur who specializes in launching technology start-ups and new products. Wendy Holliday is an experienced senior level association professional with broad background managing and implementing change, organizational growth and strategic development. Her opinions are her own. Wendy can be reached at wholliday@plmworld.org. Robert Hughes is CEO of the New Hughes Group. Before founding the firm, he ran a company dedicated to providing portable exhibits, inventing and patenting one of today’s most popular display systems. He is now focused on making shows predictably profitable for both exhibitors and organizers. Bob James is president and chief storyteller at Bob & David James, an event-oriented ad agency serving publishers and associations. The agency specializes in attendance acquisition for B2B events of all sizes. Bob also produces the blog Goodly, which reaches over 300,000 readers. Elizabeth Johnson is founder and principal at glee Content Marketing, a content and social media marketing consultancy built on her passion for combining powerful storytelling with cutting-edge marketing tactics. She can be reached at gleecontent@gmail.com. Jo-Anne Kelleway is Founder & CEO of Info Salons Group, one of the leading registration and database companies throughout Greater Asia, Australia, China and the Middle East. Info Salons serves over 750 events a year worldwide, assisting Reed, UBM, Informa, Diversified, and other large organizers. She is also a former IAEE board member. 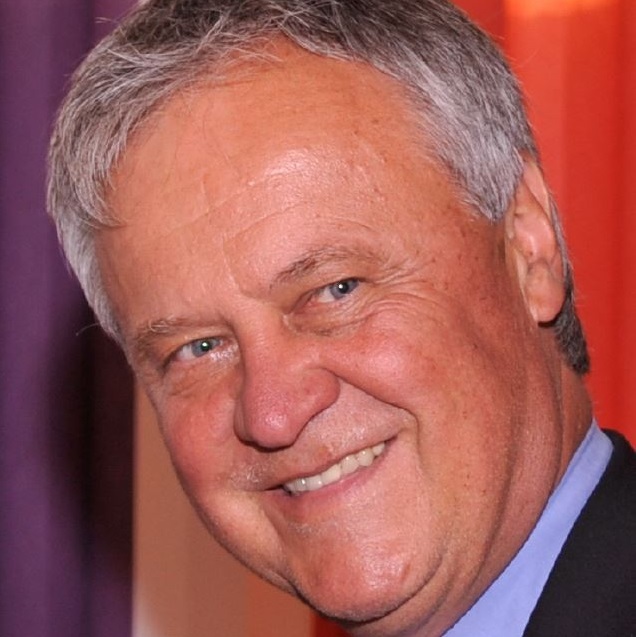 Larry Kulchawik head of Larry Kulchawik Consulting, is author of Trade Shows from One Country to the Next. Larry can be contacted via email: larrykulchawik@gmail.com. Carl Landau, Grand Poobah of Super Niche Media Event, produces five annual events targeting decision-makers at niche media companies. He has made millions starting and selling niche magazines, conferences and tradeshows in both the B2B and B2C space. Latoya Lewis developed EnventU while attending The George Washington University in Washington, DC. Her work on behalf of the nonprofit has been profiled in Washington Business Journal. She was also named a MeetingNet Changemaker and BizBash Rising Star because of it. Bill McGlade, CEM, a 10-year veteran in the events industry, has been with a show management organization, a show organizer, and most currently a technology provider (a2z, Inc). His extensive and well-rounded experience allows him to impart knowledge on his fellow peers to help them grow and increase the value of their events. If you’d like more help in understanding how to segment and analyze your data, feel free to reach out. Bill can be reached at bmcglade@a2zinc.net or 202-236-6490. Caroline Meyers is Director, Corporate Communications, for MC². Her years as a magazine art director, web designer, public relations practitioner and ad agency creative director give her a unique perspective on marketing communications–vital to her clients pre-, at and post-show. 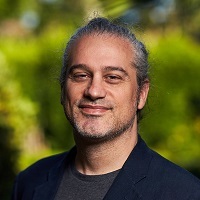 David Nour is the author of 10 books, including the bestselling Relationship Economics, which makes the case that relationships are the greatest off-balance sheet asset any organization can possess. He is also a popular speaker and trusted advisor to many leading companies. St eve Parker is vice president, sales and marketing, at Jamestown, New York-based Digitell. He oversees both sales and marketing and assists in the financial and strategic operations of the company. He has broad expertise promoting and selling information services and managing large sales organizations. Silvia Pellegrini is a vlogger, blogger and reporter. She is the Managing Director of Events Uncovered TV, an innovative space for event experts to discuss, learn and share their knowledge of the event industry. To date, she has produced more than 300 episodes of Events Uncovered TV. Toni Corvi Piela is the Director of Corporate Development for Reed Exhibitions focusing on acquisition opportunities in the United States, Mexico and Brazil. Her recent acquisitions include Jewelers International Showcase and Card Not Present Expo. Don Peppers is co-founder of CX Speakers and the Peppers & Rogers Group. For more than 25 years, he has been a leading authority on customer experience strategies. To read more of Don’s blogs, go to www.lnkd.in/donpeppers or visit www.cxspeakers.com. Tom Pick is a B2B digital marketing consultant who helps clients increase their visibility and business success online. He also writes the Webbiquity blog, covering B2B lead generation, influencer relations, social media, content marketing, SEO, and search engine marketing. You can find him @TomPick on Twitter or visit tompick.com. Denzil Rankine is Executive Chairman of AMR International, a global strategy consultancy. His experience spans 30 years of advising companies on strategic development and acquisition throughout the world. His work has taken him to 35 countries. Trisha Richards is a multiple award-winning business communicator and freelance writer with a fun, creative flair. She specializes in trade journalism, marketing and corporate communications content, meetings and events, and event technology. She spent 10 years as the communications specialist for Freeman Audio Visual Canada. David Saef is GES’ Executive Vice President of Strategy & MarketWorks. Prior to this position, he led the growth of GES’ integrated marketing and measurement offering, and acted as a strategy advisor to clients. David is a frequent speaker at industry events. Edward Segal has a diversified background as a public relations and public affairs consultant. He is a former association executive and columnist for The Wall Street Journal’s StartUpJournal.com, and the author of Getting Your 15 Minutes of Fame (Wiley) and Profit by Publicity (iUniverse). Gar y Shapiro is president and CEO of the Consumer Technology association (CTA)™, the US trade association representing more than 2,200 consumer technology companies, and author of The New York Times best-selling books, Ninja Innovation: The Ten Killer Strategies of the World’s Most Successful Businesses and The Comeback: How Innovation Will Restore the American Dream. Scott Schenker is Vice President, Strategic Events for ServiceNow. He has over 30 years experience in marketing, including strategy, creativity, and operations. He has executed hundreds of programs, in numerous industries, around the world, across all channels, and in positions ranging from Line Producer to Sr. Vice President, Asia Pacific to General Manager. Gary Slack, founder and chief experience officer of global B2B marketing agency Slack and Company, has handled attendee and exhibitor marketing for a number of major shows. A past BMA national chairman, in 2016 he was the inaugural inductee into the ANA’s B2B Hall of Fame. Ruth Stevens is a renowned expert in customer acquisition and retention, and the author of Trade Show and Event Marketing and Maximizing Lead Generation: The Complete Guide for B2B Marketers. She is a consultant and teacher at Columbia University. Before becoming an independent consultant, Ruth worked for IBM, Ziff-Davis, and Time Warner.